My uncle, Abdur, lives in Lahore, Pakistan and was diagnosed with amyotrophic lateral sclerosis (ALS), also known as Motor Neuron Disease, in October 2016. He is a kind and compassionate soul - he has amazing empathy for workers, disabled people and orphans. When he was diagnosed, he was extremely patient and cool, and he’s showed huge faith throughout this challenging journey, believing that this is ‘meant to be’. 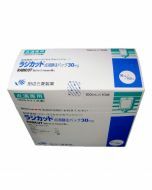 After pursuing multiple treatments in different countries and, finally, a treatment in Japan which failed, I found TheSocialMedwork on Facebook and discovered they could supply my uncle with edaravone (Radicut). The response to my query was quick and professional. From the start, the support team guided us through the process. They made everything simple for us: from ordering and billing, to logistics and delivery. We had absolutely no difficulty. My uncle is now quite stable. Although he’s in a wheelchair, he can eat, drink and sleep and the medicine has also allowed him to think more clearly. He seems more ‘present’ than before. It’s really a top-class medicine and has allowed him to live better with ALS. TheSocialMedwork assisted us in the most humane and kind way possible. I would recommend the service to others, as patients can benefit from having access to this service.